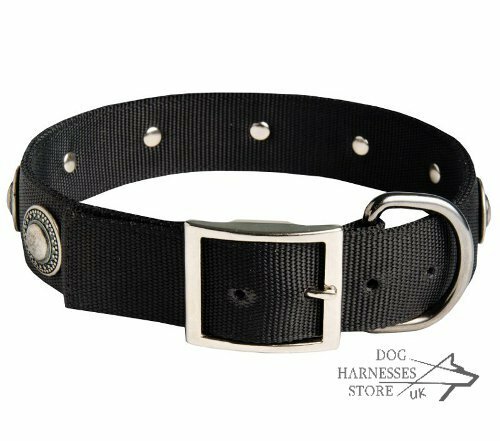 You know that there are collars for everyday use, which are of simple design and designer accessories, which are highly decorated, but aren't suitable for any activity. Does your Belgian Shepherd have two separate collars for walking and training? It isn't very convenient to change them, is it? 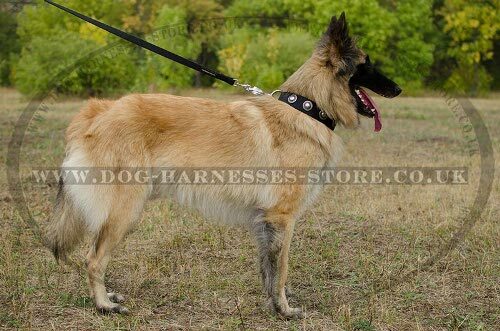 What about getting the collar that will be suitable for daily dog's activities and be of stylish design? 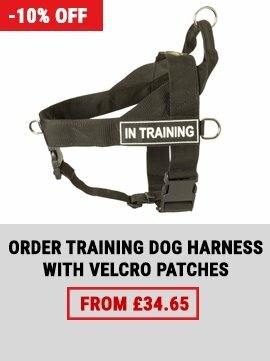 You dog will always look cool and you won't need to put on another one collar if you decide to train the canine during walking! 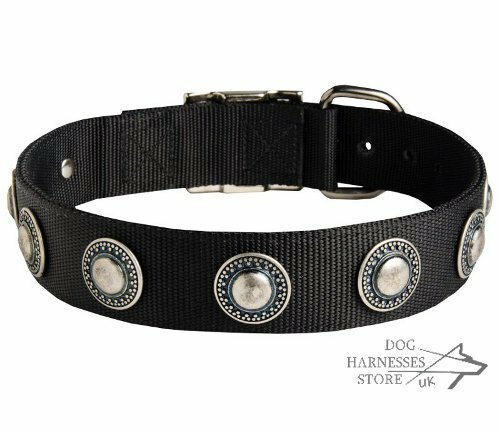 We made this Tervuren collar practical and stylish. It is strong, light-weighted and easy to clean. 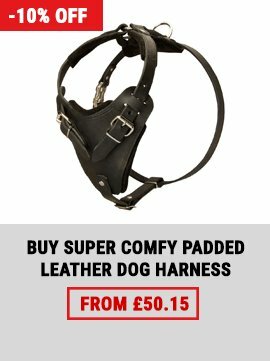 The collar is waterproof. This means it won't lose its shape or color if being wet. 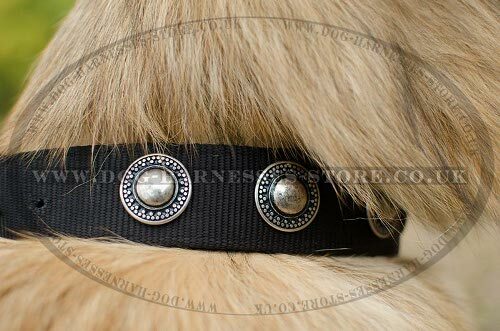 Silver-like conchos decorate this collar to make it look preciously. Every concho is carefully riveted. D-ring and buckle are of nickel-plated steel. They are reliable and super solid. 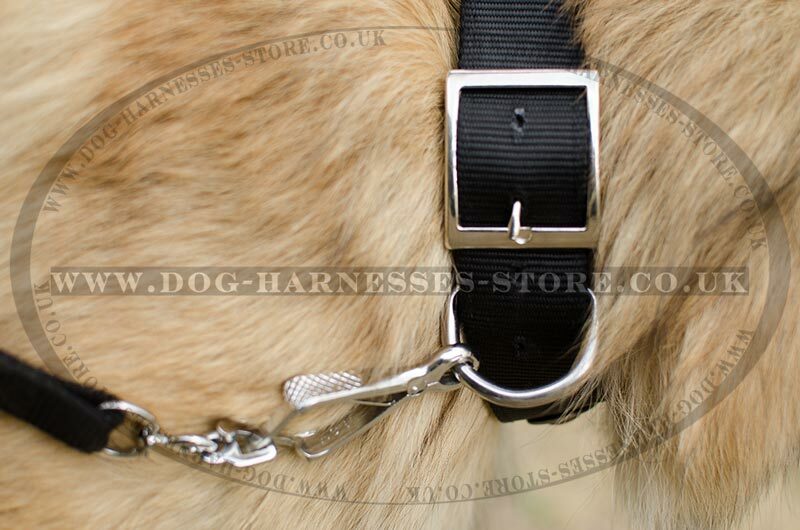 The hardware of the collar is rust-resistant. 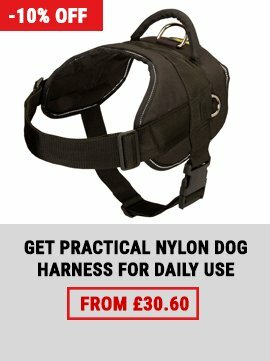 As you see, nylon dog collar can also look nice being functional at the same time!